“We are thus able to draw a positive balance for 2018 as a whole. The toy industry is under pressure. Our company is providing the right answers in a competitive market environment,” says CEO Steffen Höpfner. “We want to build on this in 2019. With a multi-faceted brand experience, we are laying the foundation for further expansion”. One focus of our international business this year will be the USA. Playmobil intends to expand its business here. This is because the brand enjoys great popularity there. Despite the turbulence surrounding the insolvency of Toys “R “Us, Playmobil was able to increase sales by 20 percent. Through trade partnerships with Walmart and Target, the strategy is now being changed from a niche product to a mass market. The establishment of an own production site is firmly planned. Search analyses are already underway. The company also sees great potential for the brand in South America and Asia. Playmobil‘s products are based on a mix of classic game worlds, digital offerings and popular license themes. The portfolio for this year includes 171 new products. These include themes such as farms, dollhouses and hospitals. To mark the 45th birthday of the Playmobil knights, the classic “Ritterburg” will also be released in a large new edition with two mighty castles and secret hiding places. Here the strategy of the enterprise shows up to provide new products with a Retro effect. This is also how parents are to be won over to the game systems. In the digital world, there is a range of over 30 programs, apps and games that is to be further expanded. The company is cooperating with WildBrain in order to manage this content on the net in a target-group-oriented manner. This network and animation studio has specialised in particular in the digital marketing of video content via platforms such as YouTube. The license business is still relatively young at Playmobil, but very successful. Now three new topics are being added. “Heidi”, “Scooby Doo” and “Back to the Future” are intended to complement the range and appeal to different target groups. Popular license topics such as DreamWorks Spirit, DreamWorks Dragons or Ghostbusters™ continue the enterprise further. The highlights include new sets of the DreamWorks Dragons range. For fans of the Ghostbusters™ series there will be the first collector’s edition in 2:1 format. The feature film “PLAYMOBIL: Der Film” will also be accompanied by game sets that pick up on different characters, locations and stories. 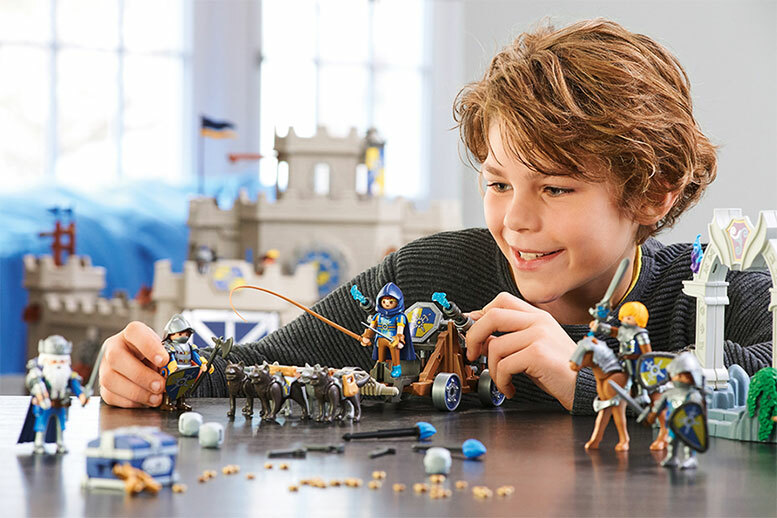 Link: The Brandstätter group of companies is satisfied with the development of Playmobil last year.